136pp. Illustrated throughout in colour and black and white, 11 tables, 44 figures (19 in colour). The Archaeology of Gatherings was a thematic international conference to bring together a range of speakers from different disciplines. 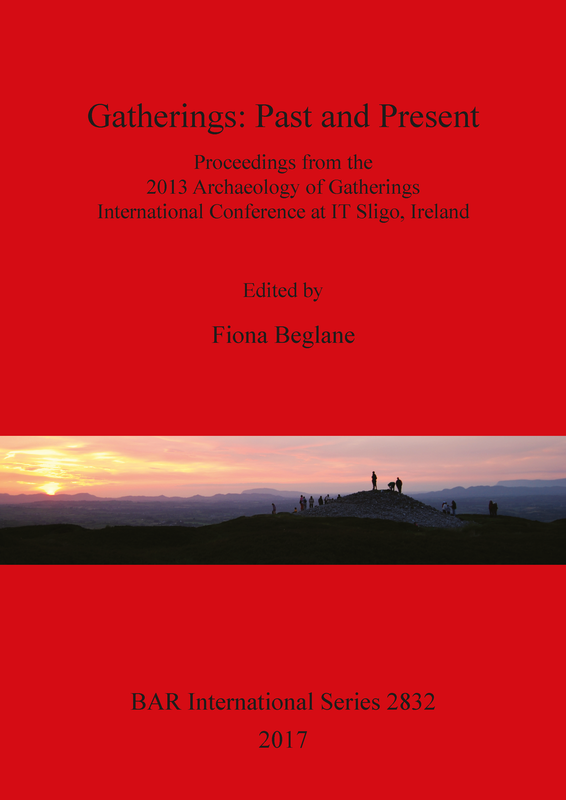 It took place at the Institute of Technology, Sligo, Ireland, between 25 and 27 October 2013 during the year of 'The Gathering', an Irish government initiative to engage with the worldwide diaspora. The aim of the conference and of this volume was to take a multidisciplinary approach in order to explore the structures, material culture and psychology behind gatherings of people. This volume thus seeks to contribute to the study of varied types of temporary gatherings both from the contemporary world and from the past. Through time people have gathered together for many reasons, including religious and political assemblies, social interaction and to exchange commodities and ideas. While some of these gatherings occurred in particular buildings or arenas, many were outdoors and temporary, and may have left only limited material evidence of their occurrence. It is therefore hoped that this multidisciplinary approach will provide insight into these sometimes ephemeral events and their remains.